Being called cricket crazy is probably an understatement when it comes to me. Maybe it’s because I was a ’96 baby, born during the year when Sri Lanka did the unthinkable and won the World Cup or maybe it’s because cricket runs through more or less every Sri Lankan’s veins. Cricket was always a major thing in our household, whenever the TV was on, 90% of the time it was set on a cricket channel. My father, mother and I would sit and watch the match; I guess that’s one of the reasons why over the years my cricketing knowledge and love for the game grew. Every time you go to a stadium, the atmosphere is just absolutely electric, the chants of the fans cheering on their heroes, the beat of the Papare band in the background, the sweet sound of the ball hitting the middle of the bat; the moments every Sri Lankan cricket fan lives for. I have loved this game for as long as I can remember; my earliest memory is from when I was 5 years old when we went to watch a cricket match against India at the R. Premadasa Stadium back in 2001. The stadium was packed with Sri Lankans and Indians, each side had plenty to say to each other throughout the game, not all of it was about cricket but I guess it was all just some friendly banter at the time. 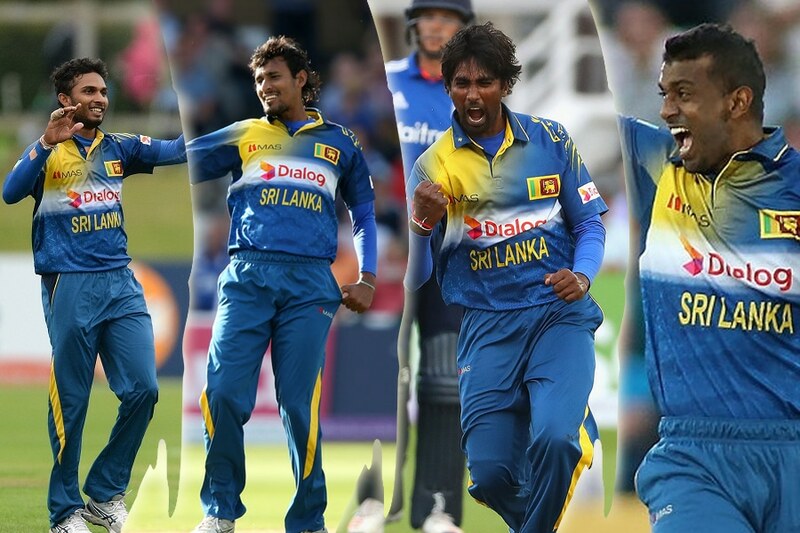 The one thing I do remember vividly is guessing the final score Sri Lanka posted, at the start of the match. 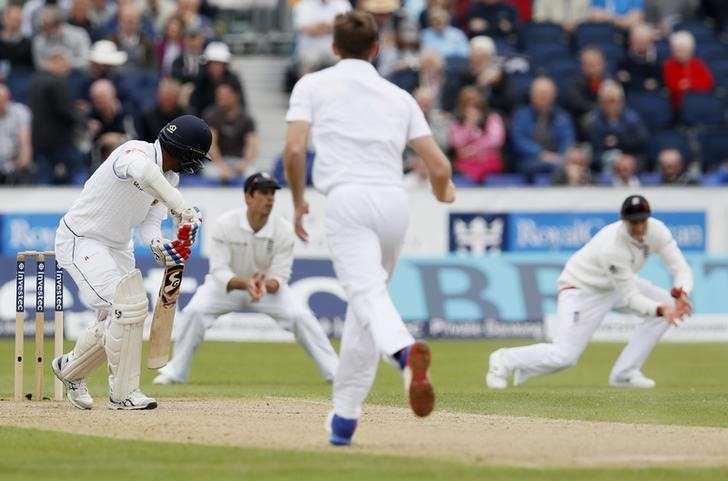 Looking back, it might have been a little thing, but it was a moment from which my passion for cricket flourished. I still remember playing softball cricket with my whole family when I was younger. The joy of hitting the ball, scampering up and down to get some runs and dashing to my crease before my cousins would run me out; it’s those memories that I will never forget. I was born and raised in Oman and went to a British school; cricket wasn’t one of the popular sports in my school, yet some of us did play it. Sometimes I would be the only girl playing with a team of guys. Many times they would underrate my capabilities with the bat, which made me more determined than ever to prove them wrong! Slowly but surely, I began to improve with the bat and really did impress some of the people watching, especially when I mastered my cover-drive. Unfortunately, the University I attend now in the UK, doesn’t have a girls’ team for cricket, so I’m not able to continue playing. Being able to play the sport you love has a whole different feel to it, I wish I could have played professionally. I have had so many awesome memories involving cricket, but there are two that will always stand out for me. One of which is when I met the 2014 World T20 winning team. I don’t think I had ever felt so nervous and excited at the same time. Walking into the Sri Lanka Cricket boardroom and seeing all my heroes seated there was a dream come true for me. I really got to know what our players are like outside the field that day, talking to them and listening to what they had to say about the game made me realise why I love this sport so much. The other most memorable event happened quite recently, during our current tour of England. 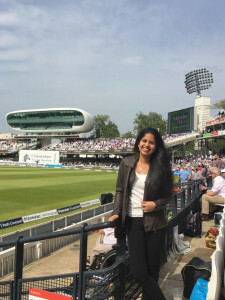 It had always been a dream of mine, like many other Sri Lankan cricket fans, to watch Sri Lanka play a Test match at Lord’s. So instead of going home early for my holidays, I bought tickets for the 2nd day! Walking into the ‘Home of Cricket’ and seeing the 126-year-old Pavilion stand on my left and seeing both the Sri Lankan and English teams warming up in the middle, was truly a dream come true. One thing that made it even better was that I was able to experience it with my father; cricket is one of the many things we bond over. An hour or so after play started, the ground was packed and the atmosphere was absolutely remarkable. Sri Lanka’s performance before lunch was lacking some excitement but what happened afterwards was truly amazing, and I was so lucky I was able to watch it live. 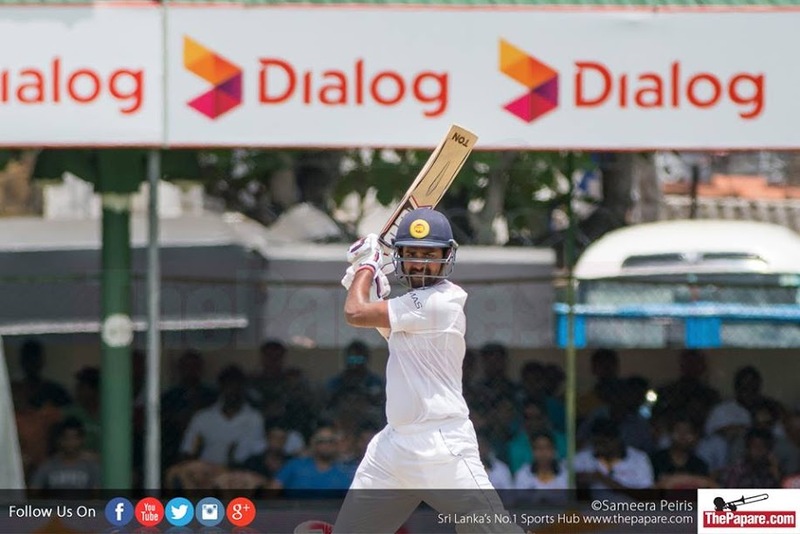 Knowing that we hadn’t had an opening stand of over 100 runs since our tour to Bangladesh in early 2014, it was awesome to watch Dimuth Karunaratne and Kaushal Silva put up an opening stand of 108 runs outside the sub-continent! Being a female cricket fan is never easy; I mean you really do have to prove yourself in front of the guys! The guys respect you sooner or later when you have proven your interest and knowledge about the game, but there will always be a few incidences, especially on social media, where some disrespect you and make you feel like you aren’t a true cricket fan. Little do they know that I happen to know where a gully or a short fine leg is, can tell a doosra from a googly and can also tell the difference between a chinaman and a leg-spinner. One thing that I hope for in the future is to have more female commentators and journalists, I hope someday the idea of a female cricket fan is not so unusual. This sport means everything to me; I don’t think I’ve ever been so passionate about something. I don’t live in Sri Lanka but every time I come on holiday, I try to watch more or less every match if there is a tour going on. Cricket brings the whole nation together, and it doesn’t matter how young or old you are or what gender you belong to, this game is the great unifier.